PARTNER is one of those English words that can be used in many contexts. It’s a simple word that we all use (almost daily) in our conversations but still, it’s possible that you are unaware of certain uses of this word in different situations. Let’s learn a little about the uses of the word PARTNER. • The two companies are partners in a contract to build the new factory. • I’ve invited Anuj and his partner Leena over for dinner. • Arrange the children in a way that each one has a partner. • Harsh partnered with Lisa during a dance class and they fell in love. • Three companies partnered to purchase Kingfisher Airlines. 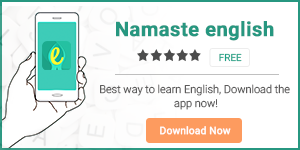 Click to download our apps HinKhoj and Namaste English.